George creates beautiful feather carvings from red and yellow cedar. His distinctive ability to carve such fine quality is also seen in his cedar boxes that are inlayed with shells and semi precious stones. 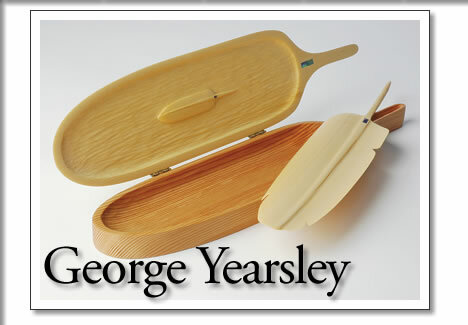 Meet George Yearsley during the Tofino Artist Studio Tour. Tofino artist George Yearsley carves fine feathers from red and yellow cedar, and is often found at the carving shed on Chesterman Beach.